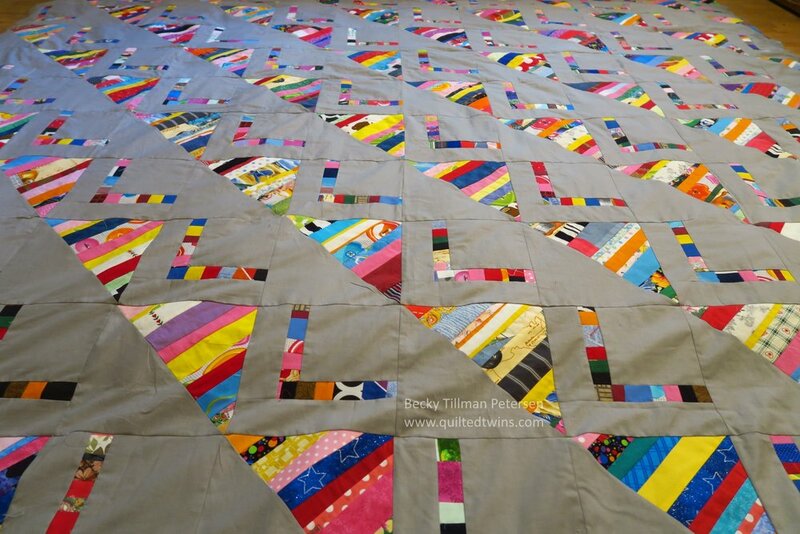 I missed working on the strings project last weekend due to the frantic nature of the work on "The Wedding Quilt". I made all the rest of the blocks that I needed for that strings top I'm calling "Please be Seated"! 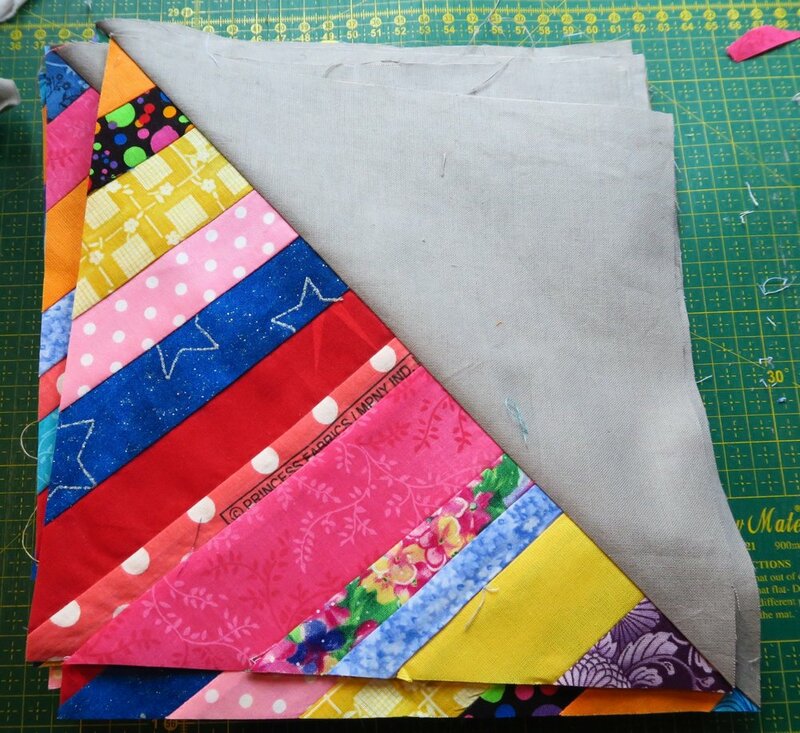 from which I made 30 half square triangle blocks so that I could finish the top in a 12x13 layout. The blocks finished at 8.5" - before being sewn into the quilt top. Once I had those pieces done, I was able to relatively quickly put the top together . With no border it felt so simple! Just a reminder - I started this project because I wasn't making any progress on using up my strings and crumbs --weird shaped scraps that I didn't want to or couldn't seem to cut up into strips--so, I decided to devote at least one good sewing session each weekend, if possible, to this project which I'm calling my strings/crumbs project. You can go over to the page here to check the current status or pictures of what I'm doing at any time. I do try to keep things updated, but naturally I may update several things at once if I all of a sudden remember that I'm behind on pictures! it's kind of nice to see progress. I wouldn't have made any of these except the first crumbs one if I hadn't started this weekend project, since I was choosing to work on other things instead. I can't say that I'm setting any records with these, but I've made several things in the last 16 months or so since I started this. - 7 finished strings/crumbs quilts (besides the first one made in 2016 - this does include 4 (!) from the upcycled blues series) and 5 more tops waiting to be quilted made out of strings.or crumbs. And that's one of the things I've been doing in my sewing room lately!